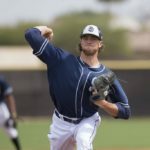 Padres’ Arbitration-Eligible Players; Tender or No Tender? 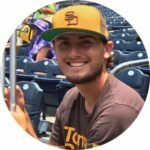 Welcome to “Tender or No Tender” where we will look at all six of the Padres’ arbitration-eligible players and decide whether or not they should or should not be tendered a contract for the 2019 season. 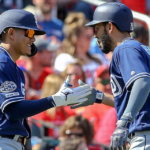 The San Diego Padres have been in the news lately as they are on the hunt for major league pieces in an effort to improve upon the lackluster rosters of the recent past. With that being said, the team has many internal decisions to make as the organization will not be able to rely solely on outside players to turn around the fortunes of the franchise. Friday November 30th is the deadline for teams to tender a contract to their arbitration-eligible players. 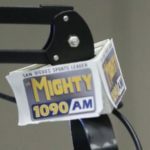 This means the Padres will decide whether or not they want to open negotiations on a new contract for each individual player, take the player to arbitration, or release the player outright with no penalty. As of this writing, San Diego has six players who have enough major league experience to be arbitration eligible. 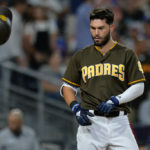 Kirby Yates, Austin Hedges, Travis Jankowski, Bryan Mitchell, Robbie Erlin, and Greg Garcia are the lucky six, and their Padre fates rely on the tendering of their contracts on Friday. 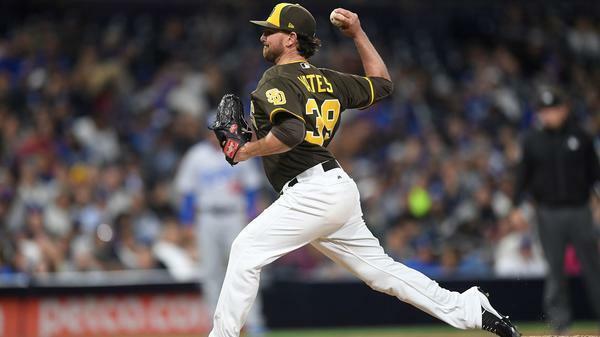 Yates was claimed off waivers by the Padres in 2017 and has broken out in San Diego, posting K-Rates over 36 percent in his two seasons in San Diego. Taking over a late-inning role in 2018 and eventually the closer role once Brad Hand was traded, Yates saved 12 games and posted a 2.54 FIP over 63 innings, both career-bests. According to MLB Trade Rumors, Yates is projected to make $3 mil in his second year of arbitration which although isn’t a lot for a reliever, is a solid bump from the $1.1 mil he made in 2018. Yates is currently projected to be the team’s closer and could also find himself traded before the 2019 starts, but it’s all but a guarantee that he will be tendered a contract. After the Padres acquired Francisco Mejia from the Indians in July, Hedges’ future was in doubt as the Padres’ long-term catcher. Mejia is seen as a superior bat, but Hedges’ value stems from his reputation as an impeccable defender behind the plate. Hedges has been known to call a great game and his rocket arm has allowed him to throw out 45 percent of base stealers. Hedges also made positive strides at the plate in 2018, improving his walk rate, strikeout rate, on-base percentage, slugging percentage, on-base plus slugging, and weighted runs created-plus amongst others. 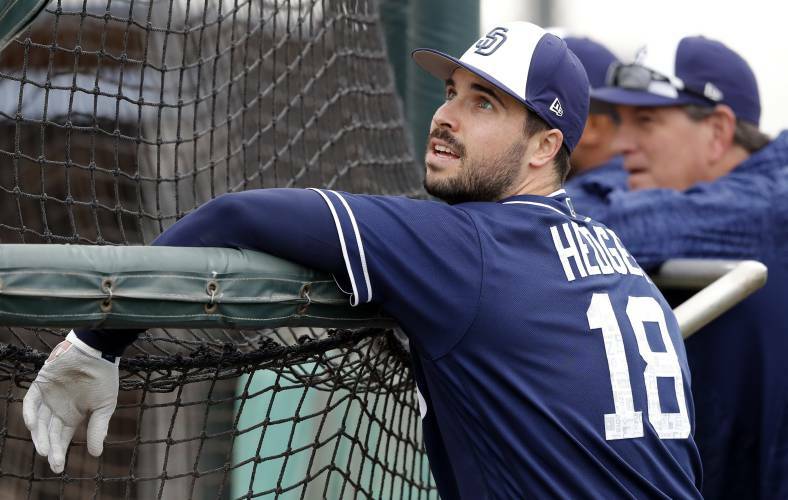 At 26 years old and entering his first year of arbitration, Hedges is expected to take home $1.8 mil in 2019, a more than reasonable sum for an elite defensive catcher whose bat seems to be coming around. 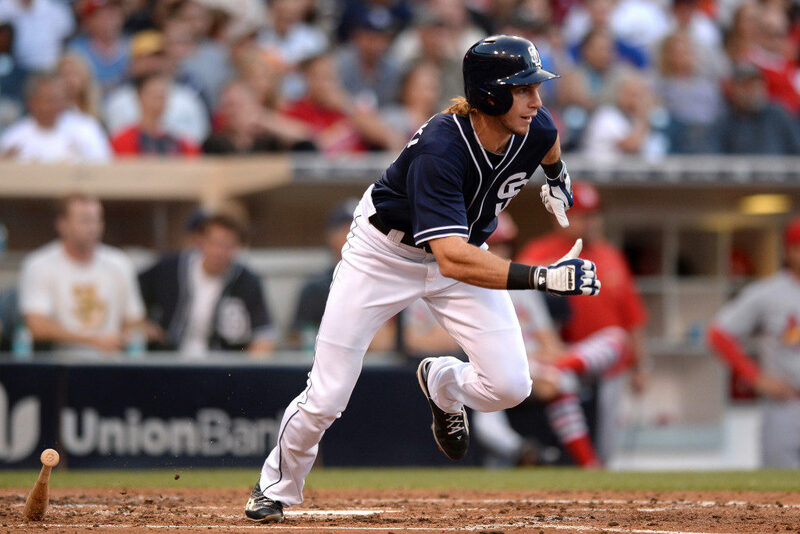 Jankowski found his niche in 2018, acting as the antithesis to Franmil Reyes’ skillset. 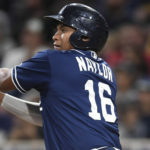 He would sub in late in the game as a pinch runner or defensive replacement sometimes even as early as the fifth inning, giving manager Andy Green improved speed and defense on the field. His skillset perfectly complements the team as currently constructed as he played all three outfield positions well in 2018 and even had a modest slash line of .259/.332/.346 to accompany his 24 stolen bases. MLBTR thinks Jankowski will make just $1.4 mil in his first trip through arbitration and his current role on the Major League squad gives him a clear leg up on any fringe outfielders in the organization. 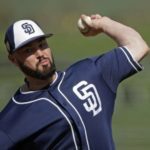 Robbie Erlin has been in the Padres system since 2012, coming to the organization in the Mike Adams trade. 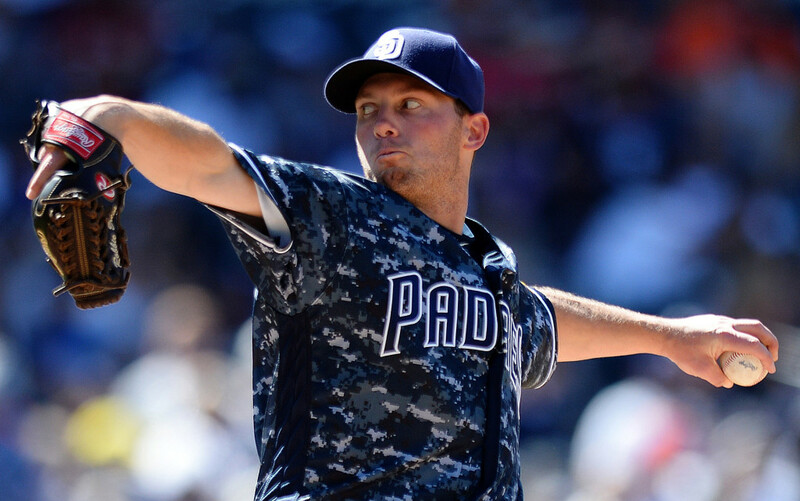 After suffering through multiple injuries over the years, Erlin was able to stay healthy in 2018 and was very valuable for the Padres as a starter and reliever. He posted a 3.31 FIP over a career-high 109 innings. He also displayed outstanding control, walking 0.99 batters per nine innings. It is hard to see a scenario where Erlin is cut from the roster as his versatility lends itself well to a pitching staff that has holes in its rotation and possibly the bullpen barring any trades. In his second year of arbitration, Erlin should make around $1.1 mil, an absolute steal for an organization that will rely on multiple rookie arms in 2019. 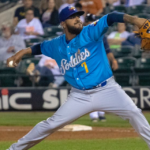 Acquired via waiver claim earlier in the offseason, more information on Garcia can be found here. General Manager AJ Preller would not have claimed Garcia and then allowed him to stay on the roster after cutting a guy like Cory Spangenberg. His solid on-base numbers and left-handed bat allows him to balance out a mostly right-handed hitting infield and his modest projected salary of $900k makes him a near lock for a roster spot next season. Mitchell came to the Padres in a trade that saw San Diego eat the contract of Chase Headley last offseason and underwhelmed from the beginning. Despite a stellar month of September, Mitchell posted a FIP of 6.11 over 73 innings split between 11 starts and 5 relief appearances. He walked five more batters than he struck out (43 walks to 38 strikeouts) and didn’t do much to prove that he deserves a spot in a Major League rotation. With that being said, Andy Green made it known in September that Mitchell will go into Spring Training next year as a “real contender” for a rotation spot and his survival thus far in the offseason signifies the team’s trust in his mid-90’s fastball for better or worse. Projected to make $1.2 mil next year, Mitchell is most likely going to make it to 2019 on the MLB roster even if he hasn’t done much to prove he deserves the chance. Verdict: Shouldn’t be tendered, but probably will be anyways.